We’ve all suffered loss in life. It could have been from losing in a competition, experiencing financial loss, or losing someone close to us. Each loss can cause different levels of pain, which can be difficult to overcome. Losing a material thing or suffering financial loss can be painful temporarily, but with time, we can eventually overcome it. 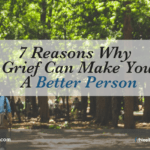 Losing someone valuable, whether it is the breakdown of a relationship or friendship, or the death of someone close, can be more difficult to overcome. Every loss can either set us back or it can cause us to grow and become better. It all comes down to our perception of every loss. 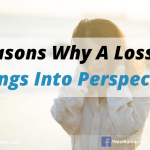 If we’re willing to look at experiences or events we deem to be losses from different perspectives, we will always find that there are benefits to be gained from them. There is a law of the universe which states everything has an opposite — up and down, inside and outside, hot and cold, etc. The law, known as the law of polarity, suggests that if we consider an experience to be a loss, then there has to be also something we can gain from it. We cannot possibly have one without the other! If we deem something to be bad, then by law, there has to be something good about it too. I remember a time when a training contract I had with an organisation came to an end after five years. While it was uncomfortable and unpleasant initially, within a week or so, things started to unfold that were unexpected benefits, which would not have occurred if I still had the training contract. 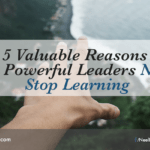 Here are 10 unexpected benefits I gained, after losing my training contract, which ended up being quite valuable. While everyone will have different experiences and deal with losses differently, it is important to recognise that there are also benefits to be gained. You will be less attached to things. It became apparent to me that my attachment to what I considered as the benefits of having a training contract were preventing me from taking on new challenges. Instead of focusing on what I had lost, I shifted my focus to what I could gain by starting new projects. You will be more reflective. I was able to use the time I now had to reflect on what truly mattered to me. I asked myself what I had learned from the experience and what I would do differently if I acquire a similar opportunity in the future. The skill of reflection leads to greater self-awareness and personal growth. You will be more empathetic. The experience reconfirmed to me that people are always doing the best they can with the awareness, knowledge, skills and abilities they have in any given moment. While it was easy to question why my contract came to an end, I came to accept that it was for the best for all concerned. You won’t have to wonder what will happen next. Sometimes not knowing what will happen next can be worse than the actual perceived loss. Leading up to the time when my contract ended, I was going through a lot of internal turmoil simply because there was so much uncertainty. When the decision was made, it was time to move on. You will start attracting new experiences or people. When one thing ends, it opens up space for new things to come in. When my training contract ended, it allowed me to do new things and in the process, I started meeting people who were more aligned to what I wanted to do in the future. You will be more relaxed. Being able to fully let go of something is extremely freeing and can make a huge difference to our mental, emotional and physical states. I found that I was able to release mental energy by not having to focus on my training contract and the projects associated with it. You will appreciate time. Everything comes to an end. Nothing lasts forever. When something we consider to be important comes to an end, it makes us realise how finite our time really is. I was able to dedicate more time to things that were important to me simply because I had freed myself of certain obligations. You will get more things done. I am more productive and effective when I have less things on my plate. When I am working on one thing at a time compared to working on multiple things, I am able to complete projects or tasks much faster. When my contract ended, I was able to get a project completed faster that I had started a few months earlier. You will be more creative. Similarly, by focusing on less things, I am able to give more energy to them, which makes me more creative. As a result of having more free time when my contract ended, I was able to add innovative or creative things to new projects. You will start to collaborate more. As the saying goes, “When one door closes, another one opens.” By attracting new people into my life, I have been able to start new partnerships or alliances, and also encourage others to do so as well. If we can start looking for opportunities or benefits whenever we have a loss, we will automatically shift our focus from what we have lost to what we can now gain. Winning and losing will always be part of our experience in life. It is up to us to use those experiences to our advantage. Action Step: Take some time to reflective on the last experience or event you may have considered to be a loss. Start capturing what some of the potential benefits are from it. 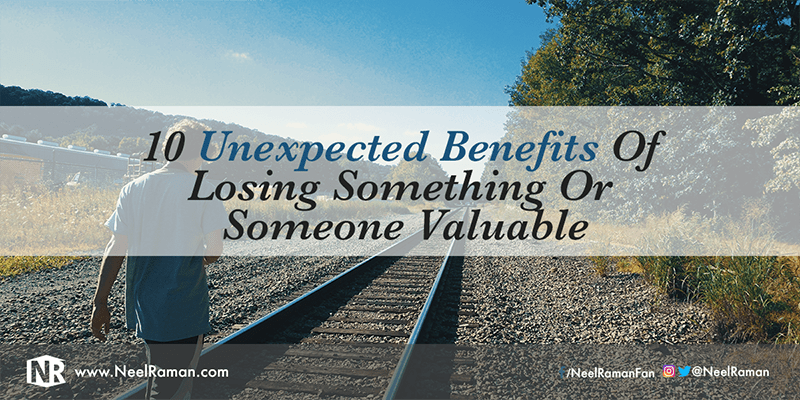 Question: What could be another benefit of losing something or someone valuable?